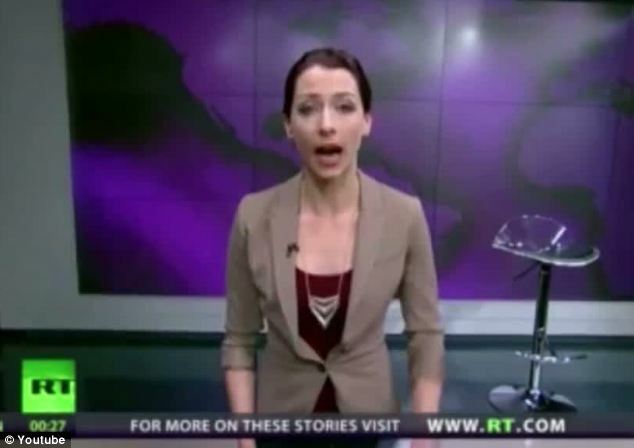 RT’s presenter Abby Martin has bought herself a reputation as a 911 sceptic and a vocal opponent of Israeli‘s policies . Yesterday she denounced Russian action in Crimea while she was live on air. Can you imagine a BBC presenter standing up against the British Government? Not anymore I guess. In the continent, the clumsy ‘socialist’ French Government couldn’t even tolerate the quanelle. The French media remained silent when France Government launch a war against Dieudonne, France’s most popular Comedian. And what about Fox /CNN News, do they denounce American interventionism in such an open manner? Truth, must be said, Martin’s TV appearance yesterday may suggest that Russia is now more tolerant and pluralist than the West. But Martin failed to convey elementary political wisdom. 'I admittedly don't know as much as I should about Ukraine's history or the cultural dynamics of the region, but what I do know is that military intervention is never the answer,” she said. Like Martin, I also oppose any from of intervention, however, I try to not to comment publically on issues I know little about. There is something that must be highlighted about the Russian operation in Crimea. Though, it looks like a military invasion, so far it hasn’t involved any violence on the part of the Russians. I guess that the situation is volatile and this can change any second. But we also have to remember that unlike the Zionised West that is quick to use vast and lethal fire power that leaves countries in a state of carnage for decades, the Russians are operating in Crimea under a heavy smoke screen, they are supported by local militias and so far, they have achieved their military and political goals without fatalities. Let’s hope that the situation remains the same.